Now that you’ve successfully answered questions about providing financial reports to your board, let’s tackle the financial reports you must send to Uncle Sam and to your state government. When you finish this chapter, you will be 3/4’s of the way home. Complying with federal and state tax laws can prove a daunting task. Missing the filing date(s) can prove a costly mistake. This chapter of the Procedures Manual will walk you through a series of questions related to each form. Please read the footnotes for more information. Who is responsible for getting W-4 form(s) to employees and getting the completed information to your payroll service? Where are the blank form(s) W-4s kept in your office? Where do you keep the completed copies? Where do you file the W-2 forms that you receive from your payroll service? Who is responsible for submitting the W-9 form(s) to contractors and ensuring you get the completed forms back? Where do you keep the blank forms W-9s? Where do you keep the completed W-9 copies? Who is responsible for generating your 1099-Misc forms —your payroll company, outside contractor, or in-house staff? Where do you file your copies of the competed form 1099s that are generated? Does your organization file IRS form 990? If so, who is responsible for compiling the data for your 990? Who is responsible for completing your 990? 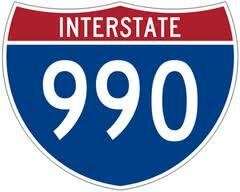 Is your 990 completed by in-house staff or do you contract out this task? If you contract out, what is the contact information for the firm or individual who completes your 990? Do you file for an extension? If so, is the request made in-house or by a contractor? How much in advance of the filing deadline, extended or not, do you need to provide the information to the person completing your 990? Does your organization provide a complete copy of your 990 to all members of your governing body before filing? Does your organization have a process for your governing body to review your 990? If so, please describe the review process. Does your organization have a written conflict of interest policy? Does your organization have a written whistleblower policy? Does your organization have a written document retention and destruction policy? Where do you keep your completed 990? Do you post the public pages of your 990 on your website? Does your organization file a state tax return? If so, who is responsible for compiling the data for your return? Who is responsible for filling out your return? Does in-house staff complete your return or do you contract out this task? If you contract out, what is the contact information for the firm or individual who completes your return? How much in advance of the filing deadline, extended or not, do you need to provide the information to the person completing your return? Does your organization provide a completed copy of your return to all members of your governing body before filing? Does your organization have a process for your governing body to review your return? If so, please describe the review process. Where do you keep your completed state tax return? Who is responsible for filling out the registration form? Does in-house staff complete your state registration form or do you contract out this task? If you contract out, what is the contact information for the firm or individual who completes your state registration form? How much in advance of the filing deadline do you need to provide the information to the person completing this form? Where do you keep your completed state registration form(s)? a. See http://www.irs.gov/pub/irs-pdf/iw2w3.pdf for instructions. All employers must furnish appropriate/eligible employees with a W-2 by January 31st. b. See http://www.irs.gov/pub/irs-pdf/i1099msc.pdf for instructions. All employers must furnish appropriate/eligible employees with a 1099-Misc by January 31st. c. The following states do not require [501 (c)(3)] charitable organizations to register and file periodic reports: Idaho, Indiana, Iowa, Montana, Nebraska, Nevada, South Dakota, Texas-with limited exceptions, Vermont and Wyoming. If your organization is located in and registered/incorporated in one of these states, you do not need to read further.